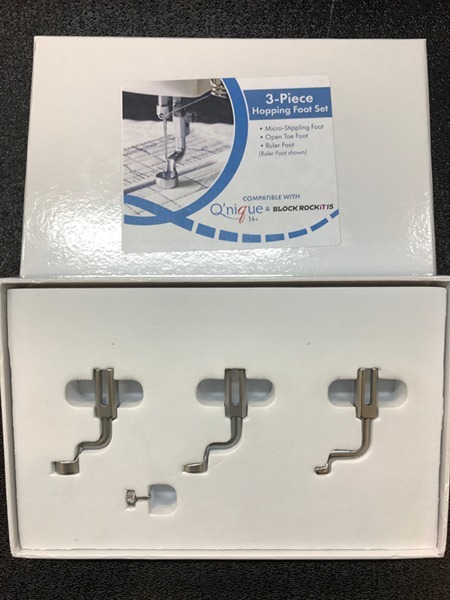 Q'nique Hopping Foot Upgrade Set! 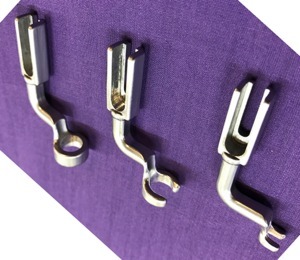 Set of three hopping feet for the Q'nique machine quilter. For those of you that have been asking and waiting, the new hopping feet are finally available! These feet are made from the same aluminum your original hopping foot is made from. Also compatible with the Block Rockit 15. Ruler foot - for quilting with rulers and guides. 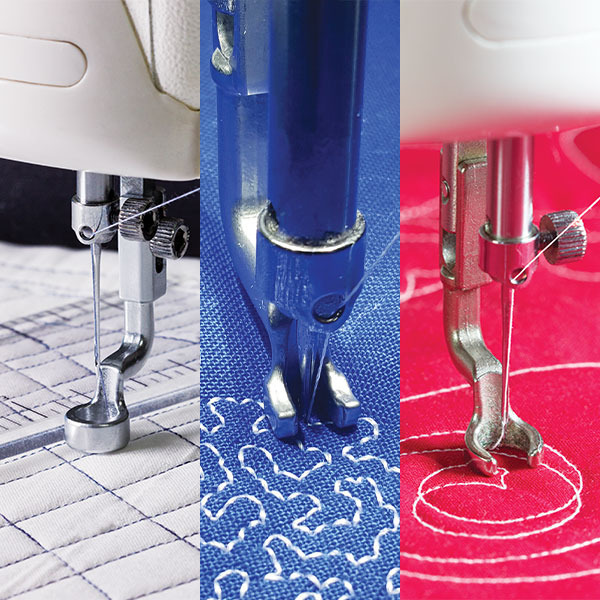 Open Toe foot: Allows full visibility of the needle Great for appliqué, thread painting, & artistic quilting. 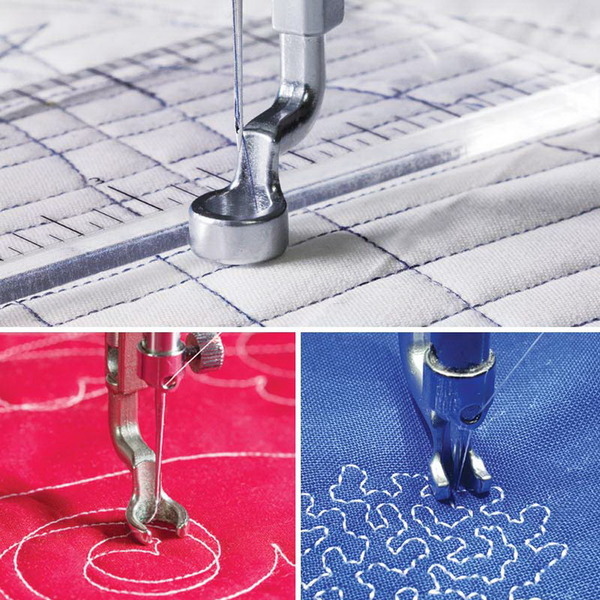 Ruler foot: Thicker toe for use with rulers & templates (sold separately) Heightened bend in foot clears most quilting rulers Micro-Stippling Foot: Used for micro-stippling Allows for very fine, detailed stitching Easier background quilting.